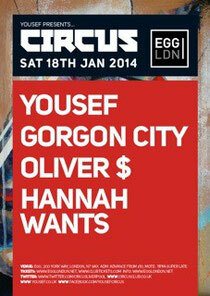 Yousef’s Circus party rolls into EGG London on 18 January. Throughout 2013, Circus London delivered an array of events that featured performers including Laurent Garnier, Hot Since 82, Monika Kruse, Dennis Ferrer, Nick Curly and Booka Shade. Still reverberating from Objecktivity’s recent take over of Circus London, Yousef and the team have pulled together a line up to keep the underground dance music fans of the capital hyped for 2014. Circus founder and curator Yousef heads up proceedings, and beside him are Gorgon City, Oliver $ and Hannah Wants. Following the successes of 2013, 2014 will see Yousef release on Objektivity as well as Loco Dice's famed desolat. 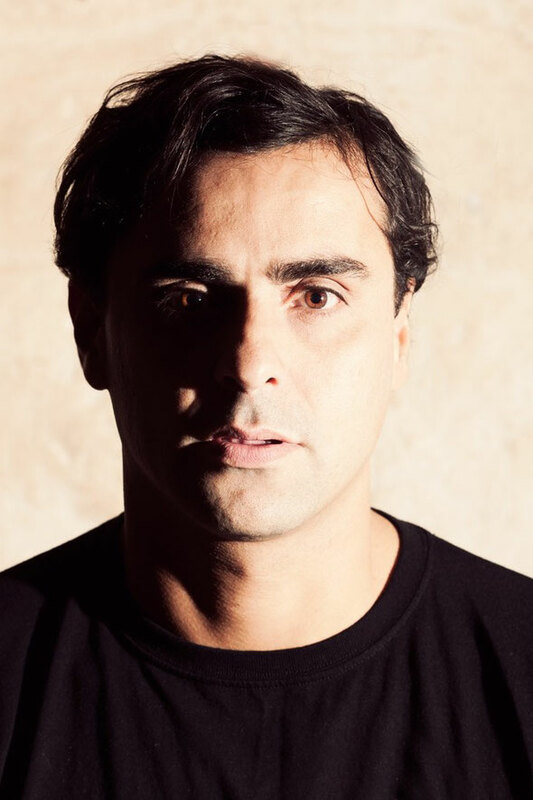 His own imprint Circus Recordings also enjoyed huge success with Green Velvet’s ‘Bigger Than Prince’ and Harry Romero’s ‘The Butcher EP’ and in 2014 expect material from Reboot, Carl Cox and many more. North London duo Gorgon City are hot property and are currently starting a new adventure with Virgin/EMI after a spell with Black Butter. Berlin born Oliver $’s stock has risen throughout the last five years, building into a staple name of house music. Hannah Wants will be taking over Room 2 of EGG. Hailing from the Midlands, Hannah has gained a name for herself among many electronic music lovers with her bass heavy style.